Something magical happened at Moonee Valley yesterday. 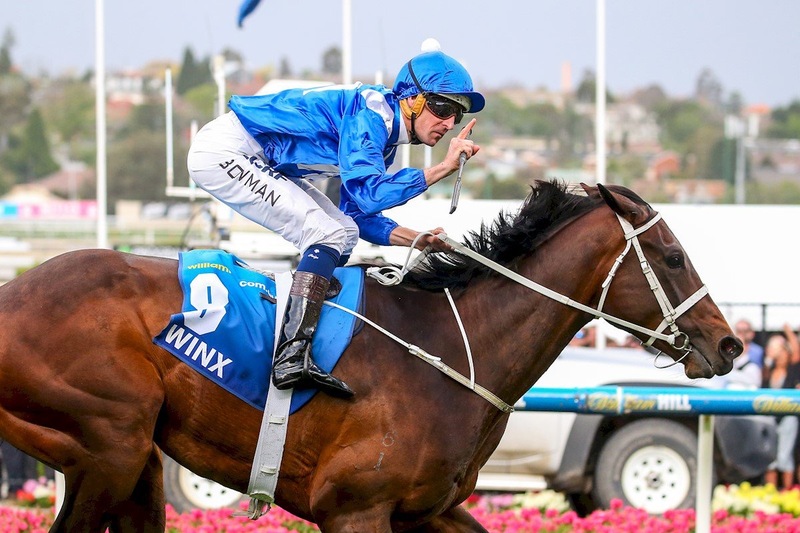 Winx won the Cox Plate- for the second time- and by so doing, transformed the face of racing. How many understand this? That’s debatable. Winx, Hughie Bowman, Chris Waller and the owners gave the sport a facelift and makeover. They made horse racing likeable and part of the mainstream consciousness. For this and more, a huge Thank You to that wonderful lady named Winx for everything she has already done for racing, and her performance yesterday. Ladies don’t like to brag, so we’ll do it for her: Winx demolished a very very good field of stayers. The problem was it was her and them. And Winx was a 10. Even that buffoon Trump would agree with that assessment. It’s not locker room talk. It was there for all to see. Hear all-important comments from the #BeatenJockeys in the #CoxPlate. Racing, especially in Victoria, has taken a heavy pounding over the past year with its various gaffes, U-turns, lack of leadership, no one wishing to take on the arduous task of steering the Titanic, mediocre hires, the Peter Principle of promoting incompetence, the ongoing and meandering Cobalt horse opera, the Moodie Blues, the misadventures of Rumpole Of The Bailey, more unnecessary information about Yesterday’s Man Danny Nikolic, the old chestnut and the loudest whisper for decades involving a certain trainer and apprentices that’s reared its ugly head again etc etc. And despite all this, it took this wonderful mare to resuscitate racing in Victoria for a few minutes, and, far more importantly, bring some much-needed dignity to the sport. Dignity has been in very short supply. And so have racing heroes. Winx was ably supported by a supporting cast comprising the humility and sincerity of her owners, Bowman and trainer Chris Waller. One cannot help but wonder how, if only some in racing who are handsomely paid- and even grossly overpaid- to raise the image of the sport, had the same class as this incredible mare, just how much farther horse racing could travel. If Hughie Bowman is the epitome of being laid back, then this magnificent specimen of horsepower is coolness personified. 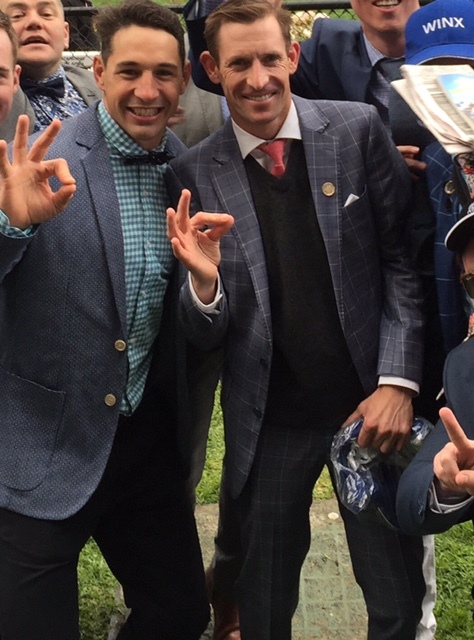 Just when horse racing in the land Down Under needed a Refresh button pressed to put a stop to the onslaught of negativity on social media from the usual suspects with their self-serving agendas, petty jealousies, and continuing to flog their dead horses to death one more time, you did it, Winx. You succeeded where so many humans have stumbled and failed and made complete idiots of themselves. Hopefully, you have made the racing twitterverse grow up. Winx has raised the bar. She’s done all the heavy lifting along with the brilliant team behind her and those in the foreground. It’s one of the best things that could have happened to racing. It’s a much-needed Wake Up call for racing clubs and those who run them to realise that racing fans won’t settle for mediocrity and half-arsed thinking- and the Richie Sambora Band. This take it or lump it attitude by the powers that be in racing has been allowed to carry on for too long- and many know who the culprits are. They need to be drummed out of the industry. As Dylan sang, They’re invincible now, they have no secrets to conceal. No more meaningless Pow Wows, please, that lead nowhere. That’s just corporate waffle and the transparent art of doing the least as possible to show that one is doing something. There’s this species in every industry- far bigger industries- and they’re being shown the door – with no golden handshakes. Enough is enough. The question to ask is, And now what? What can be done- not to better the performance of Winx, but that extra something to make race days extra special. Memorable. Exciting. Excitingly different. 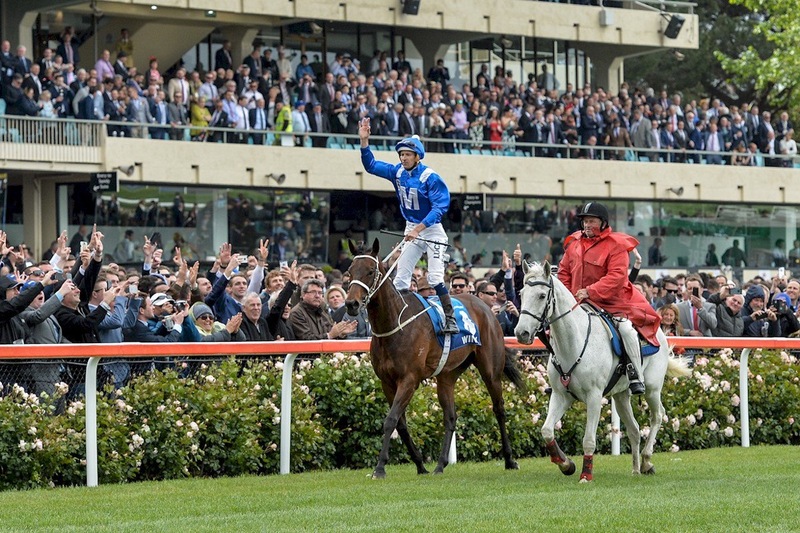 Another question: What would this race day have been remembered for without the one mare show by Winx? Think about it before everyone tries to jump on the Winx bandwagon? Congrats to @TheValley on an amazing #CoxPlate day. The weather was horrible but the racing was fantastic & the crowd had a ball. And Winx! As someone who has seen all sides of racing and has been hugely disappointed with incompetence being promoted, million dollar mistakes being tolerated and everything and everyone that has been allowed- allowed- to fall through the cracks, there are many things very wrong with the future of the sport. But for right now, let’s accentuate the positive. And make it last. Pollyanna thinking? Probably. This entry was posted in Australian horse racing industry, casper fownes, DOUGLAS WHYTE, HAPPY WEDNESDAY, Hong Kong Jockey Club, Hong Kong Racing, Horse Racing, HORSE RACING AND SOCIAL MEDIA, MOONEE VALLEY, The horse racing industry, zac purton and tagged BEN SO, Chad Schofield, CHRIS WALLER, Cox Plate, Danny Nikolic, Douglas Whyte, Eddie Lai, happy valley, HKJC, Hughie Bowman, Jockey Challenge, Moodie Blues, Moonee Valley, Pakistan Star, Sylvestre de Sousa, Winx. Bookmark the permalink.